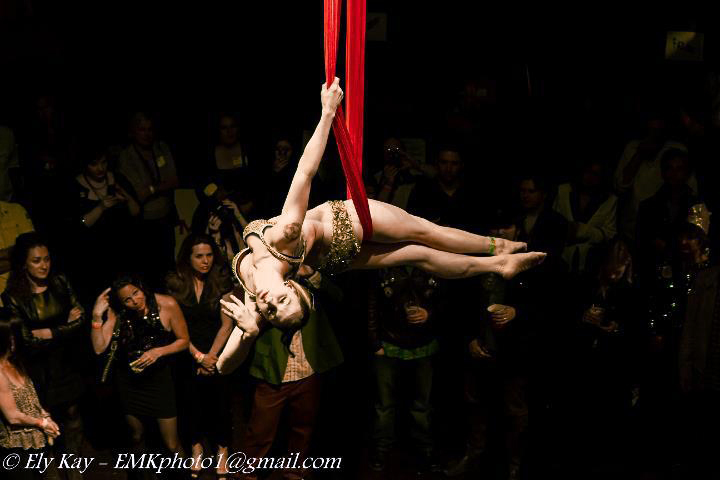 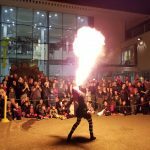 As a professionally trained Aerialist, Sasha can provide stunning performances in the air! 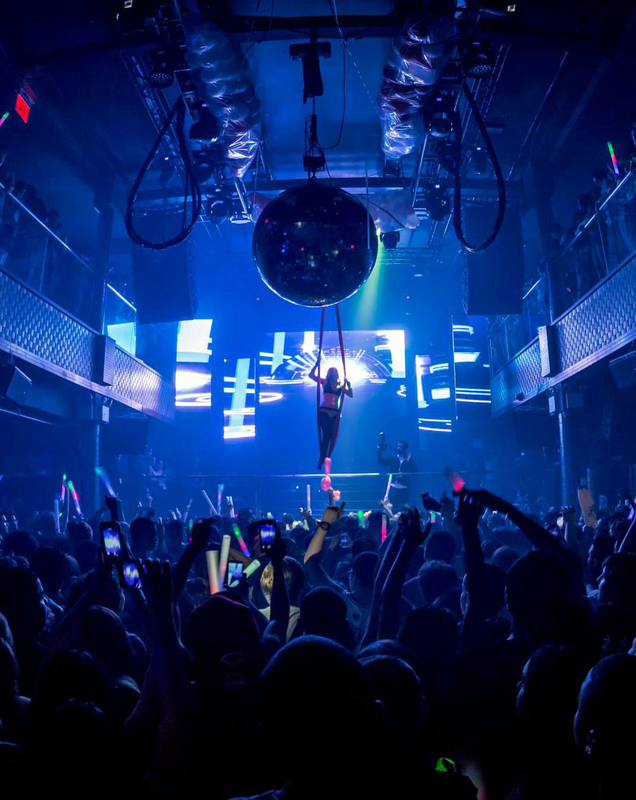 There are so many possibilities with aerial arts. 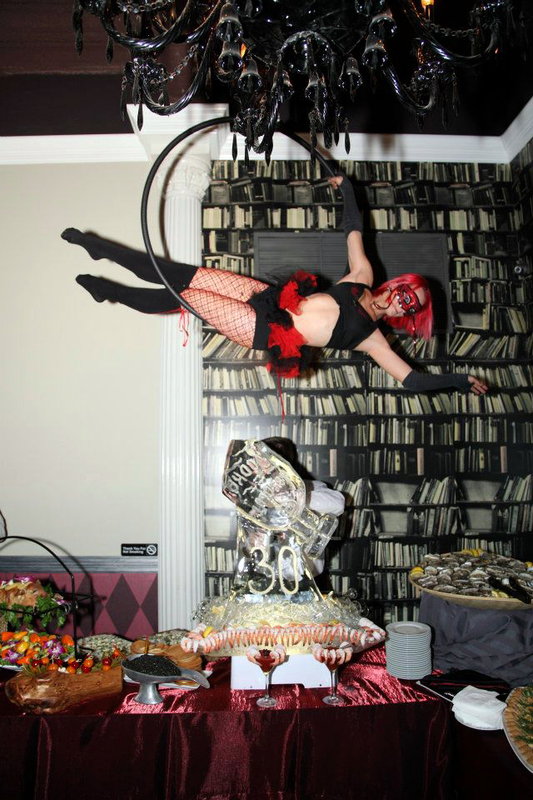 Delight your guests with a champagne pouring performer above their heads, a mermaid sitting in the Lyra, an ambient act, or a choreographed performance! 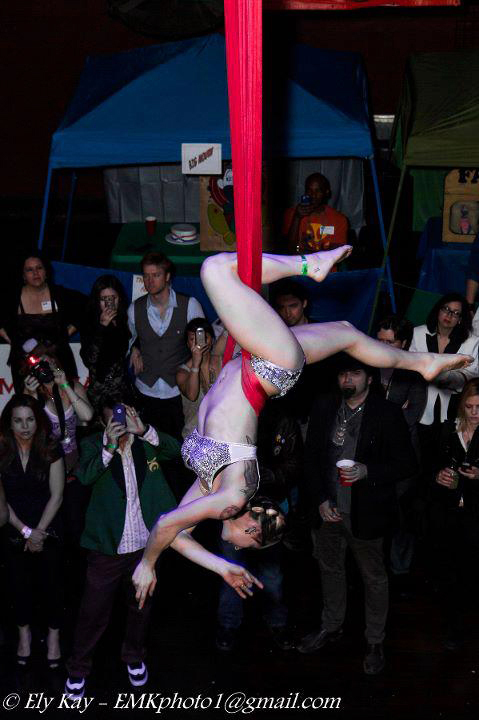 Aerial Lyra, also known as aerial hoop, is a fun, circus aerial act! 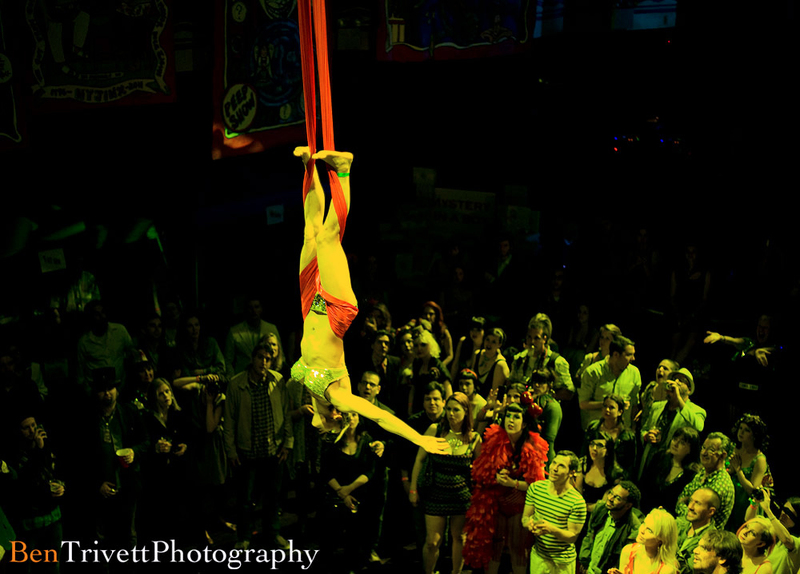 Your guests will enjoy watching Sasha contort and pose up in this circular aerial apparatus! 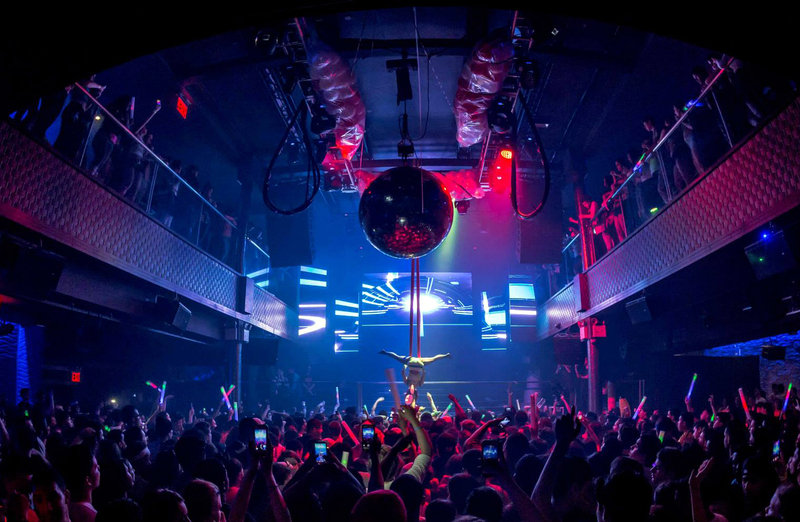 Great for ambient performances, champagne or liquor aerial bartending, or choreographed performances. 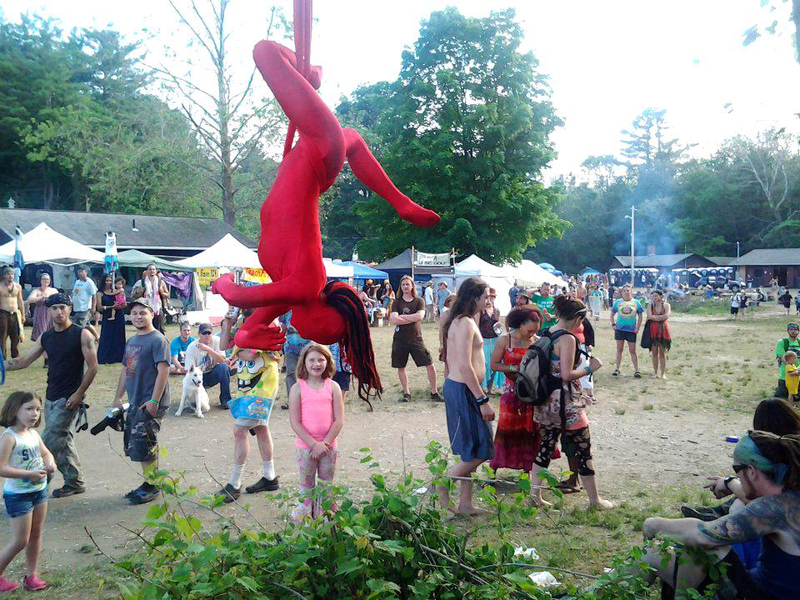 Mermaid Sasha can also hang out up in the aerial Lyra showing off her fins! 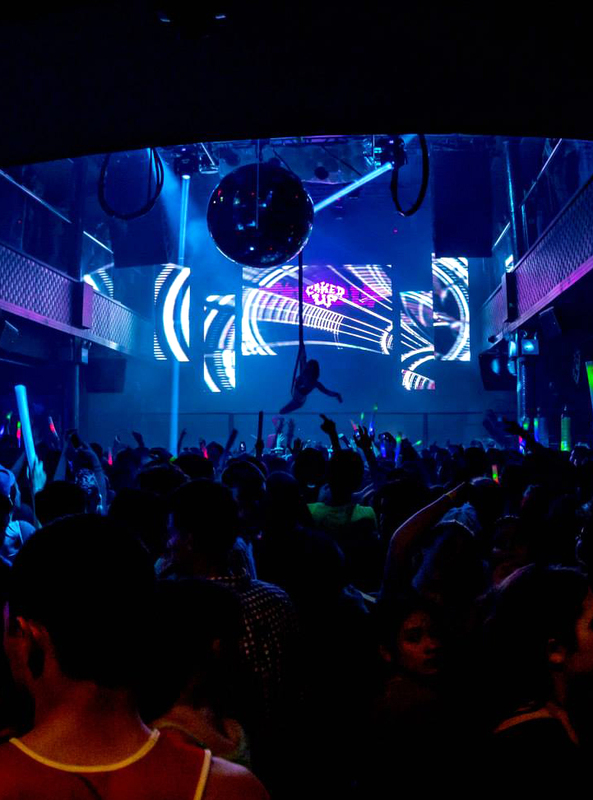 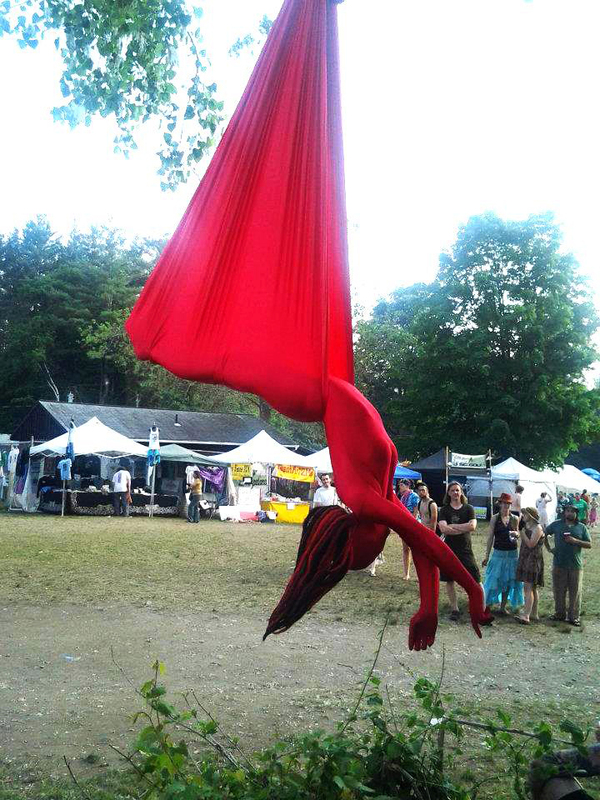 Aerial Hammock, also known as the aerial sling, is an amazing performance that is great for any event! 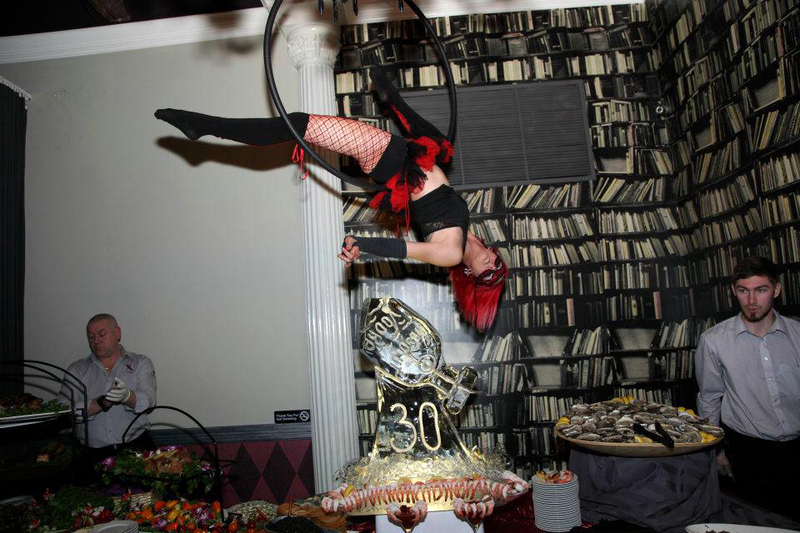 Your guests will love watching Sasha spin, flip, and contort during this amazing high-flying act! 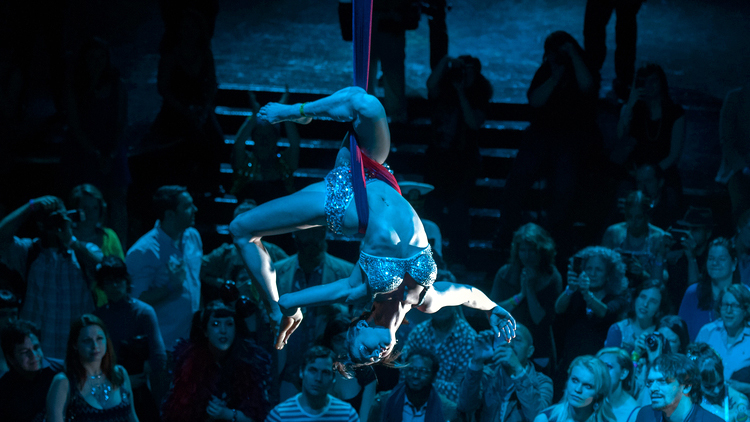 The aerial hammock act is available as a choreographed performance, or an ambient act.